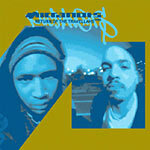 The first Micranots album, previously available only on tape, now makes its way to CD, courtesy of Rhymesayers Ent. This is truly a release to be treasured. If you haven't heard this group from Minneapolis then you best get to knowing!